Welcome to our info area. This is a home for the non-product content that we want to share with you: product brochures, discussions of different outdoor topics, newsletters. New content added semi-regularly! 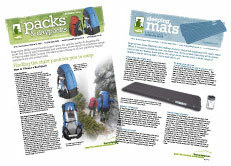 Opinion and analysis on tents, poles, climbing gear, food and more from some of our in-house experts. Here at Bogong we've spent a lot of time in the outdoors, and a lot of time talking gear. So if you're looking for some advice, have a look at these pages to get you started. Which rock climbing shoes should I buy? Which is the best rock climbing harness for you? Which is the best sleeping bag? Download our super-informative buying guides to different product categories. They contain a wealth of information about our stocked products, in an easy-to-compare pdf document. Each buying guide is roughly 5 MB. 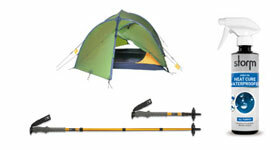 Bogong stocks an extensive range of equipment for hire. Details here. Catch up on Bogong News from the last year or so. Keep up with the latest Bogong News by signing up for our email newsletter. To sign up, just enter your email address into the box in the left column and click subscribe! Our Bogong Newsletter comes out a few times a year and keeps you up to date with the latest news here at Bogong. You can catch up on Bogong News in our Newsletter Archive. Check out a few original videos from Bogong on various topics. Details here.